Attending Mardi Gras for the first time is an experience unlike any other on the planet, as the annual party in New Orleans overflows with bucket list moments. The experience comes at you fast, though, and before you know it you'll be back home wishing you were back in New Orleans. 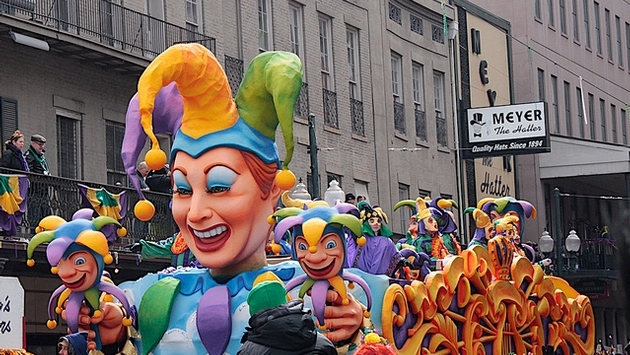 You’ll probably have a couple of regrets, too, and while that’s all part of the experience, why not learn from the following rookie mistakes to make your first trip to Mardi Gras an even more amazing experience. While the French Quarter is as famous as it is gorgeous and home to the highest concentration of bars, restaurants, and hotels, you don’t have to spend all of your time there. It’s definitely a great place to be during Mardi Gras, but by never leaving you are selling the city short. Not to mention, it can get extremely packed during festival time. Instead, why not walk next door to the Faubourg Marigny neighborhood to sample a slightly different vibe. As much as you may be focused on just letting the good times roll at Mardi Gras, you are still going to have to stop the partying to eat a few times a day. Instead of just grabbing something on the go, make a reservation at one of New Orleans’ famous fine restaurants, so you can experience stellar versions of the signature culinary specialties that have made the city a foodie paradise. Mardi Gras parades are one of the most integral parts of the festivities in the city, but too many tourists get sidetracked by other pursuits to attend one. The schedules for the colorful float-filled processions are posted months in advance, and if you get to the parade routes early enough, you should be able to secure a spot. Just keep an eye out for flying beads at all times, though. While the bars on Bourbon Street are bound to be blasting more Jay-Z than jazz, that doesn’t mean there aren’t still plenty of good shows to be seen around the city during Mardi Gras. Jazz is New Orleans’ musical gift to the world, and while many first-timers just get too distracted to take in a performance, no trip here is complete without watching one. Seeing a show during Mardi Gras is bound to have an especially festive vibe, too. The Hurricane is one of the signature drinks of New Orleans, but there’s only one place that sells the original version, and that’s Pat O'Brien's. While there are plenty of imitators out there on Bourbon Street, and almost all first-timers fall victim to buying one. They just can’t hold a candle to Pat’s, so please learn from their mistakes and just stick to the tasty original, okay? No matter how many days you’re taking off from work or school to come to Mardi Gras for the first time, go ahead and add one onto the end of it. Just trust us on this one.